Want Pure, Great Tasting Drinking Water? 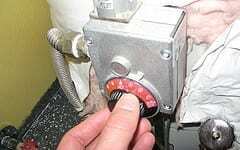 Install an Under the Sink Water Filtration System! Water quality is a growing concern both in the Glen Carbon area and in the rest of the United States. Although our tap water is disinfected by our local treatment plants, there are a number of contaminants that still make their way into our drinking water and many people aren’t comfortable with consuming the chemical byproducts that are created when chlorine is added to our water. One of the best solutions for ensuring you have safe and pure water at your home is to install an under the sink water filtration system! Continue reading Want Pure, Great Tasting Drinking Water? 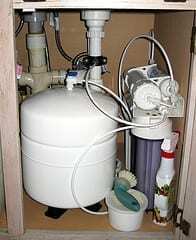 Install an Under the Sink Water Filtration System! Did you know that the temperature that your water heater is set at can have an effect on the efficiency of your home and the safety of your family? Furthermore, many people don’t even know that their water heater’s temperature is set too high! Today we’re going to give our recommended water heater temperature settings and talk about the benefits of lowering your unit’s temperature to that level! 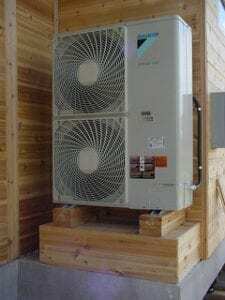 During summer here in the St. Louis Metro East area, homeowners often have two conflicting desires: they want their homes to be as comfortable as possible but they also want to keep their energy bills under control. One of the main factors to influence both of these things is your home’s thermostat settings. Today we’re going to provide you with recommended thermostat settings for summer to help you figure out the best temperature levels for your home!